After Siem Reap, our next stop was the Cambodian capital of Phnom Penh. There were several options that we actively explored as how to make the trek between these two cities. The most romanticized idea was to take a long boat down Tonle Sap Lake. We had a recommendation from a friend (of a friend) that the boat trip was amazing. I did some online research and found that the other reviews were much more hit or miss. The trip could take up to 12-15 hours (or as little as 5 hours), depending on the depth of the water and the condition of the boat. Another review I read of the boat included a lovely description of how all the luggage was loaded at the very last minute and just chucked into the boat, blocking the only exit — so in the event of an emergency you’re stuck behind all the luggage with no way to escape. I hate water and this just sounded absolutely nuts. VETO. We also had an option of taking a bus – the first class bus option included a karaoke machine and most buses had air conditioning. I’m sure the bus would have been a fun option…for the first hour or so, but as the day drags on I am sure I’d be absolutely tortured. We decided to fly. 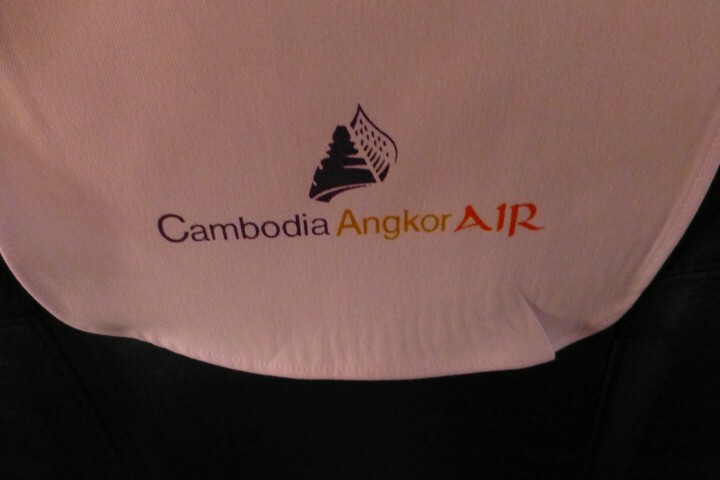 The only airline that makes this flight (without another stop) is Cambodia’s flag carrier – Cambodia Angkor Air. This airline is quite small, with only 7 aircraft (at the time I write this) five A321s and two ATR72-500s. We were in one of the latter planes. We boarded from the tarmac. The flight was pretty full – almost all were western tourists too. 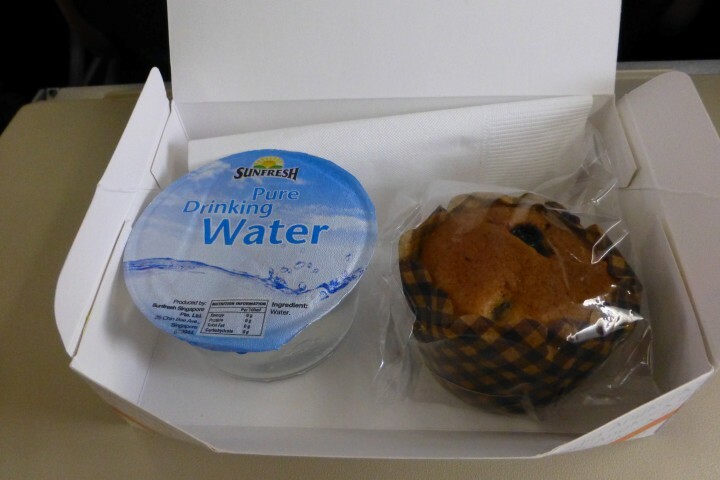 The flight was just blocked at 45 minutes, but they still managed serve more of snack than you get on most domestic US flights. Not as promising once opened…although it was surprisingly tasty. The flight was extremely uneventful. Like most of the trip, we hadn’t done a whole hell of a lot of planning before we took to the air. 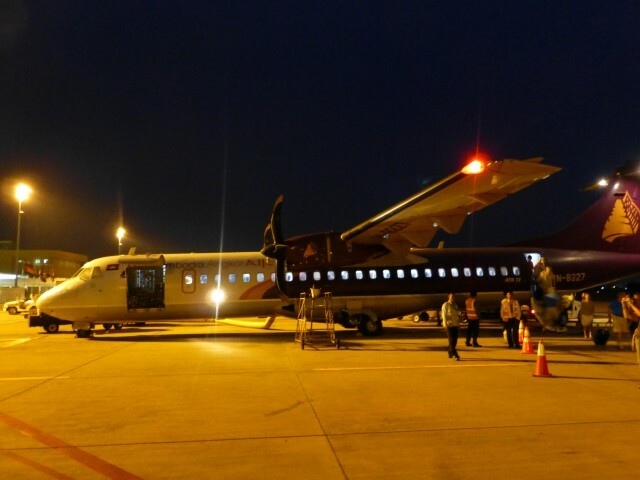 I spent the 35 minutes in air researching restaurants in the capital and settled on a highly rated French restaurant for our first (and only) dinner in Phnom Penh. 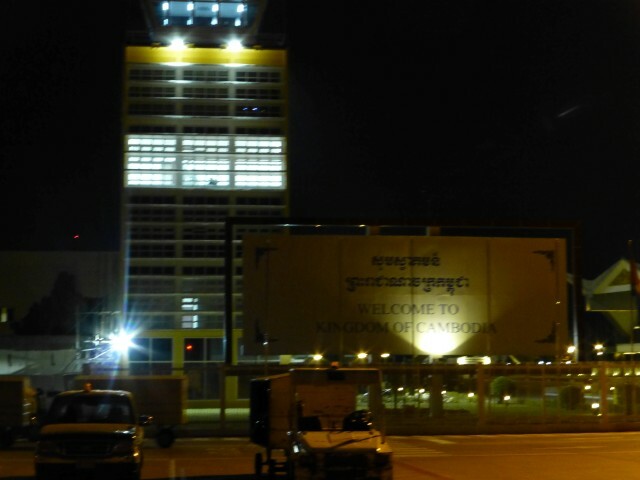 We landed after dark and headed into the open air airport to collect our luggage. The bugs were very thick inside the terminal — all the lights were attracting them, since we landed after dark and the terminal was lit up like a Christmas tree. 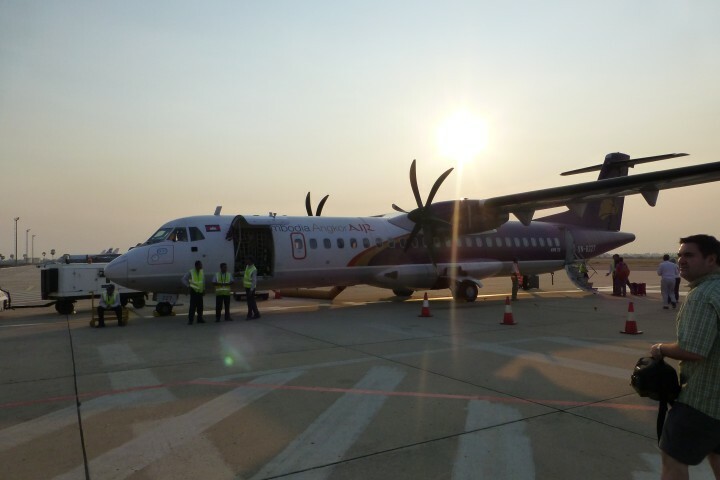 I think the flight to Phnom Penh was one of the best decisions we made of the trip – the karaoke bus would have been miserable and the deathtrap boat would have scared the hell out of me. 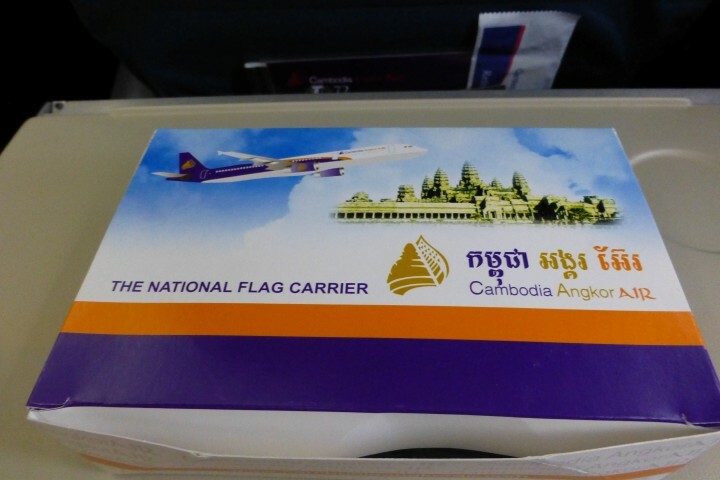 Have you ever taken Cambodia Angkor Air? What about the karaoke bus or the Cambodian Titanic? Am I reading too much into the crappiness of the two other modes of transport? Should I live a little more and try things like the bus or the boat? How would you have commuted between these Cities? By Tim in Travel on January 18, 2014 .